Hamburg - Hamburger SV finish their season needing a victory at home to Bayer 04 Leverkusen on Saturday (kick-off 15:30 CET) to stand any chance of overtaking Eintracht Frankfurt for a place in next season's UEFA Europa League. Despite last weekend's emphatic 4-1 win at 1899 Hoffenheim keeping the Red Shorts' slim hopes of European qualification alive, sixth-placed Frankfurt remain in the driving seat ahead of what is expected to be a thrilling finale, their two-point advantage and far superior goal difference leaving HSV relying on an Eintracht defeat at VfL Wolfsburg, while they themselves attempt to overcome Leverkusen. The mood in the Hamburg camp is nonetheless upbeat ahead of the encounter against a Bayer side which has already booked its ticket for the forthcoming UEFA Champions League campaign. Head coach Thorsten Fink believes for one that Hamburg have a psychological edge over Frankfurt having "done their homework" last weekend, when Eintracht failed to seal Europa League qualification following a 1-1 draw at SV Werder Bremen. "We wanted a final shot at qualification and now we have it," said the Hamburg boss. "I reckon we have the advantage because we have nothing to lose. [Frankfurt] need at least a point against Wolfsburg, who are especially strong away from home." Adler wary of Kießling & Co. The Red Shorts' task is no less tricky, however, especially given that Leverkusen are unbeaten since a 2-1 defeat to FC Bayern Munich in mid-March. "We have to show from the off that we're there to win the game," underlined goalkeeper Rene Adler, for whom the outing will be particularly special. 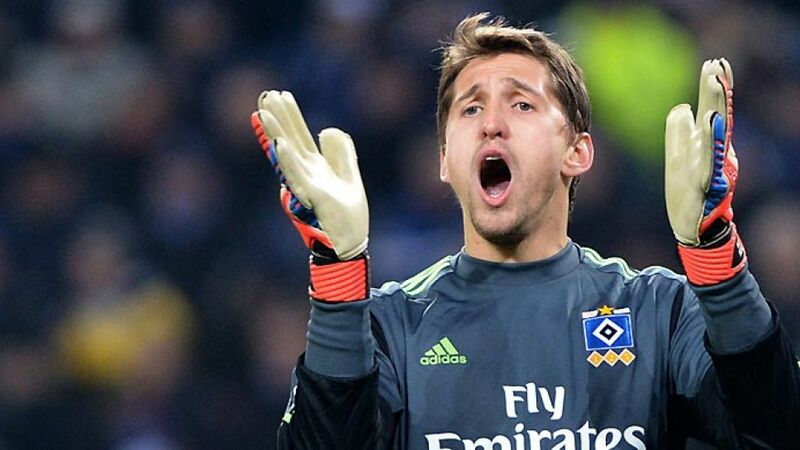 The Germany goalkeeper featured 138 times in the Bundesliga for Bayer before joining Hamburg last summer. Adler was quick to warn his colleagues about Leverkusen's attack, which includes 24-goal Stefan Kießling: "Their strikers are very quick," the 11-time international, who again made Joachim Löw's , said. "We can't afford to give them any room and need to mark them tightly." That conviction is shared by his coach Sami Hyypiä. “We want to play well in Hamburg and take all three points from the match," the former Finland international said, adding: "Hamburg want to qualify for Europe and they’re sure to take an aggressive approach to the game."